A radiologist, a music theorist and a spiritual philospher walk into a bar... and play klezmer. Orkestyr Farfeleh, the winsome concoction of Harvey Niebulski, Marianne Tatom and Thaddeus Spae, is a portable feast for lovers of Jewish music, replete with frelachs, Eastern European folk tunes, Yiddishkayt and hats of overwhelming personality. 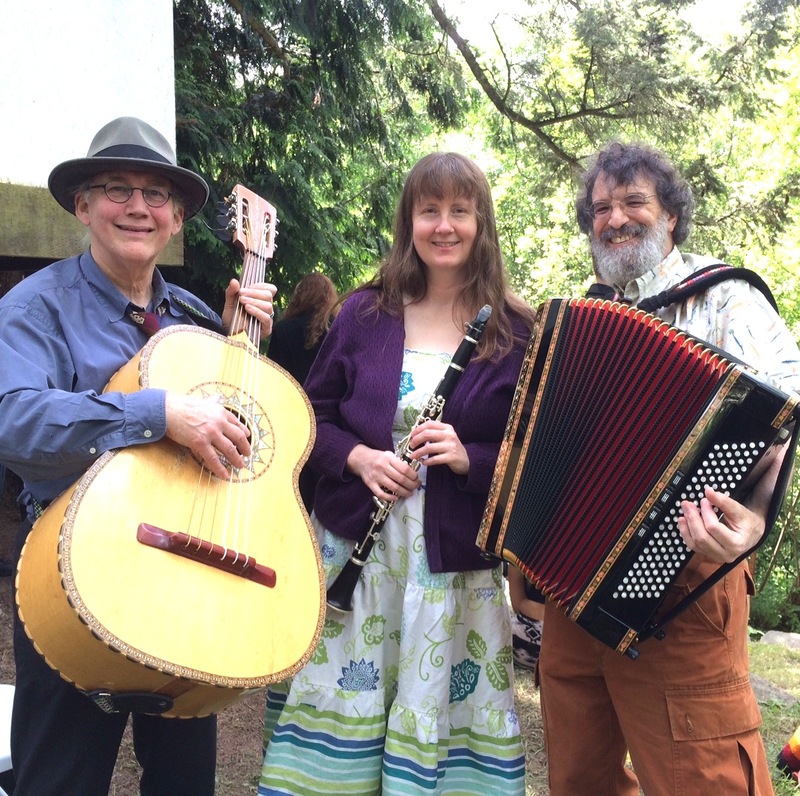 Performing on accordion, clarinet, trombone, guitarron and vocals, they present their diverse material with sharp ears, quick fingers and irrepressible humor, in a program sure to delight young and old alike.